~Old charm with new style. Experts claim that there are only three important things to consider when selecting real estate: location, location, location, and at Westview Apartments the location couldn't be better. Close to a number of amenities, this charming residence is nestled in a beautiful neighborhood with an expanse of green space. Westview Apartments is a handsome four-storey, 34-suite, brick exterior building comprised of bachelor, one and two-bedroom suites. The residence is very clean and impeccably maintained as the property management and onsite staff take great pride in the building. The common areas of the building have been recently renovated and this includes the lobby, fresh paint in the corridors and a new roof. Here you will find that your renovated suite includes hardwood floors throughout, ample closet space, beautiful light fixtures and newer installed kitchen appliances (stove and fridge). 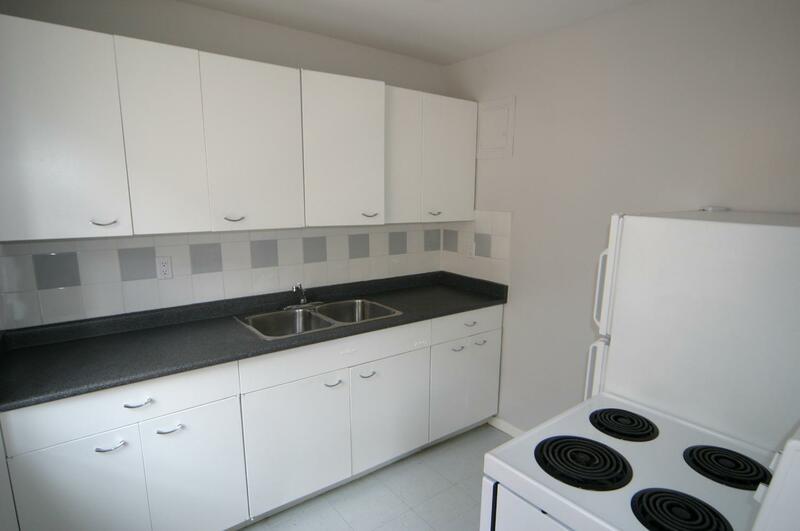 Also, in the kitchen, you will find tile flooring, an abundance of counter space and large cupboards. 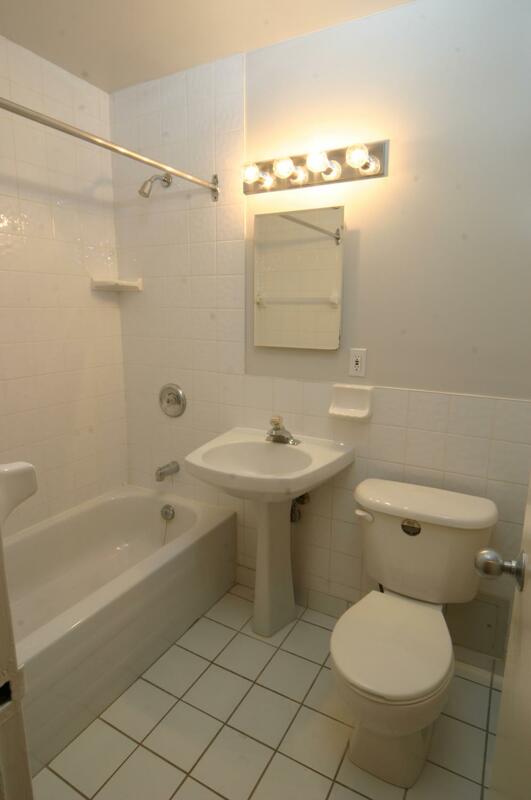 Our upgraded bathrooms include a modern sink, toilet and bathtub, a mirror and modern light fixtures. 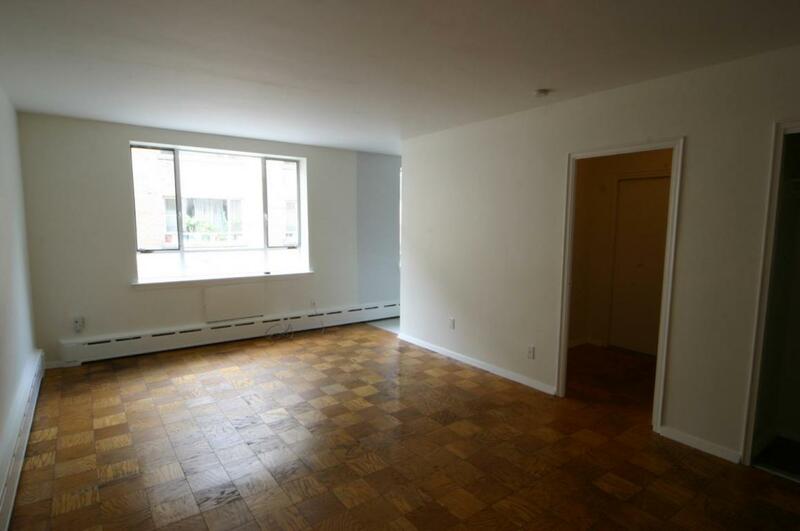 The suites are spacious and airy with large windows that permit an abundance of natural light. For your convenience, full laundry facilities are located in the basement along with additional lockers for storage. A great bonus is the garage parking and there is also outdoor parking available for you and your visitors. Did we mention that heat and hydro are included in your rent? 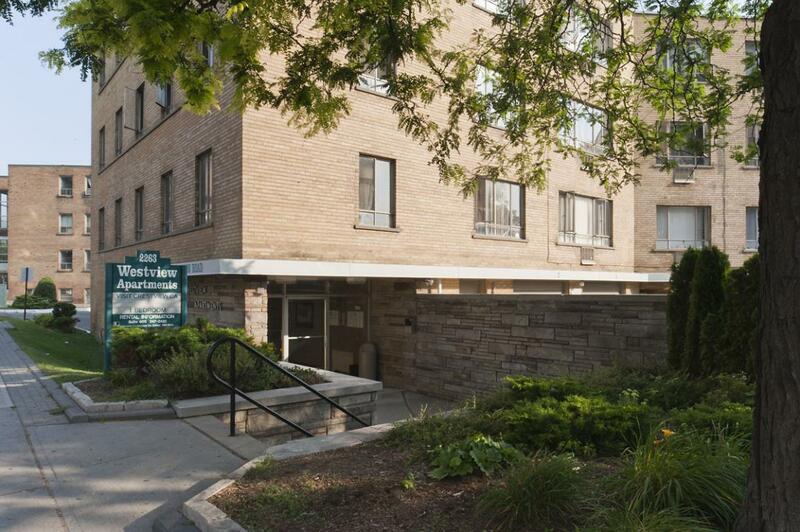 Situated on Weston Road, just north of Lawrence Avenue, our neighbourhood is a delight to live in. With a large grocery store, a post office, bakeries, many doctors' offices and a Canadian Tire store, the Westview Apartments has everything. Access to Highway 401 is easily achieved by driving north 5 minutes on Weston Road and, for people who prefer the TTC, there is a bus stop right outside your front door. For those who wish to stay fit, our location is great for jogging and cycling. The building is only steps away from Glen Scarlett and Harwood parks, and the beautiful Scarlett Woods Golf Course, which is an executive-length par 62 course suitable for beginners and experts alike.